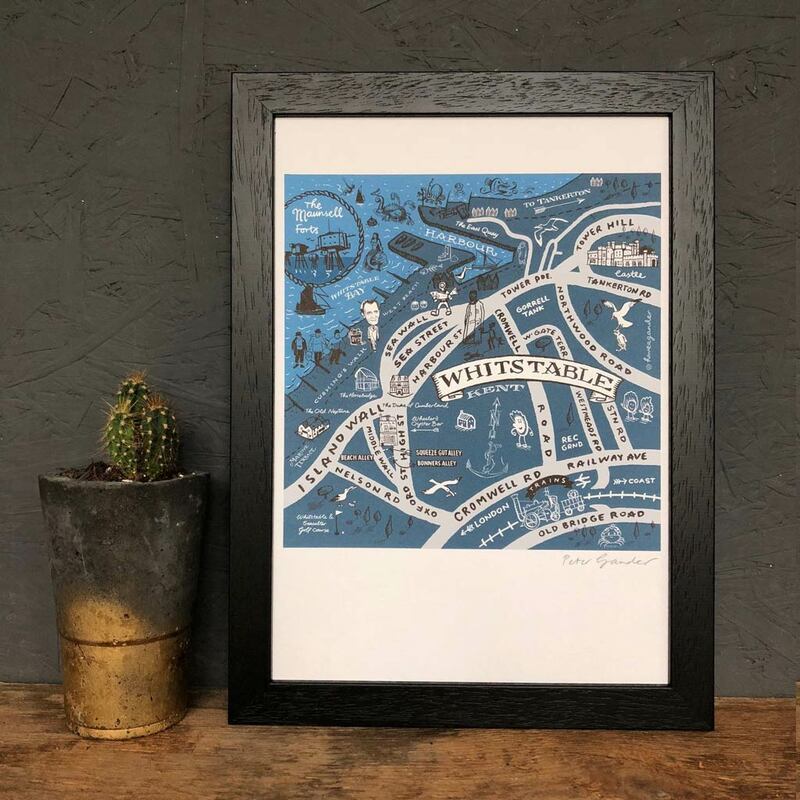 Illustrated Map Of Whitstable Signed Print, the perfect gift for someone who’s a fan of this beautiful seaside town in Kent. Map of whitstable would make a lovely gift for a fan of Whitstable, perhaps as a keepsake of a memorable trip there, or for someone who lives her maybe? The map includes allsorts of quirky detail. The map was drawn by artist Peter Gander for Have a Gander, as one of a new range of hand-drawn maps.